We have morning and afternoon Receptionists who are happy to take any queries. We have a 24 hour turn around policy for all communication into the school. This means that you should get atleast an aknowledgement of recipt should you email in within 24 hours. Please be aware that complex issues we aim to resolve within 2 weeks. We have an escalation process for issues or complaints that are reported to us via parents. Your first port of call should always be your child's form tutor. Any issues that canot be solved via the form tutor can be escalated to the apropriate Head of Year, assistant Headteacher, Deputy Headteacher, should non of these staff members beable to resolve things for you then your concerns will be raised lastly to the Headteacher. Unfortunately we have very limited parking. 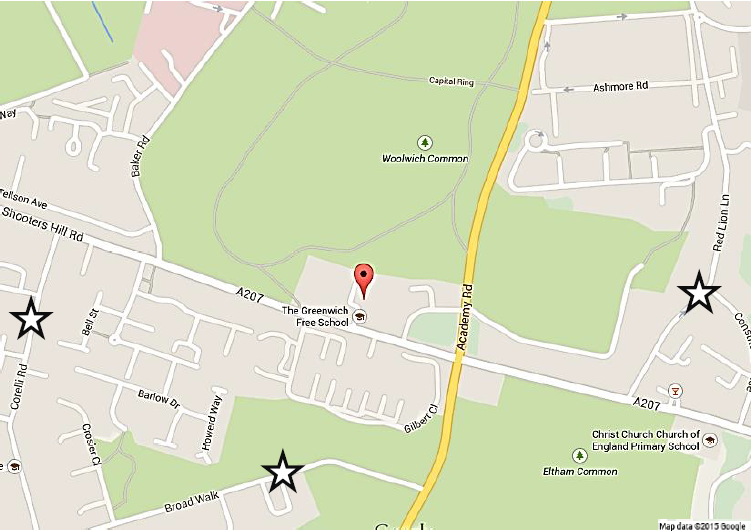 If you are visiting us, unless you are a disabled badge holder please park at one of the locations highlighted below.